School physicals should be done for children of all ages, ranging from those just entering school to those going away to college. 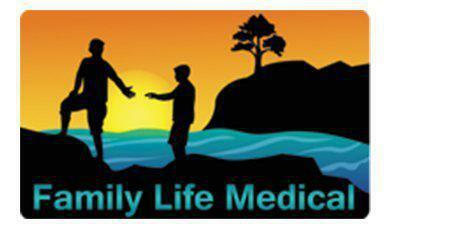 Dr. Kyle Scarborough at Family Life Medical in Conroe, Texas is ready to provide comprehensive school physicals and the documentation children need as they enter the new school year. At what age does a child need a school physical? This can vary by school and school district. In general, most schools require that new students have a school physical. Students entering certain grades or participating in athletic programs also need to have a physical. Some colleges may require physicals for new students, as well. Even if a school doesn't require a physical for entry every year, having yearly physicals prior to the start of the school year can be a good way to check on a young person's overall health and wellness, and it can allow for early diagnosis of emerging health problems. What type of forms must be completed for a school physical? Every school is different. Most schools give the student some follow-up of health appraisal form. Dr. Scarborough can complete this form to verify that the child is in good health. What is involved in a school physical? There are usually 2 parts to a school physical. First, Dr. Scarborough reviews the medical history with the patient and their parents. The medical history typically covers all serious illnesses or injuries in the past, major illnesses in the family, past surgeries, past hospital stays, allergies, and a list for all current and past medications. The next part of the school physical is the physical exam. This usually includes a check of the patient's vital signs and a height and weight check. Dr. Scarborough also checks the patient's heart, eyes, lungs, ears, throat, and nose. Reflexes, flexibility level, and strength are also checked in the typical school physical. How long are the results of the school physical considered valid? In most schools, a school physical is valid for 12 months from the date of the exam. There may be exceptions for certain groups, for example in some schools a special education student's school physical may be valid for up to 3 years. Parents and students should check with their schools to make sure that their current school physical is up to date before the school years begins.